It’s a myth that TMJ disorder can’t cause symptoms that are unrelated to the jaw, chewing and biting. Fact is, temporomandibular joint disorder can cause a whole host of symptoms — several that you’d never even think were connected to a mandibular problem. “I am presently treating a patient who is an excellent example of this,” says Jeffrey Haddad, DDS, of Doolin Haddad Advanced Dentistry in Rochester, MI. Dr. Haddad explains, “Not only was Cathleen unaware that she had any ‘bite’ issues or jaw symptoms, but she came to me hoping that her tinnitus could be helped with TMJ treatment after much research. “In addition, she is a practicing nurse! Most people would assume that someone in the actual medical field would understand the physiologic connection, but this just isn’t the reality. “What she realized after only a few weeks in her TMJ orthotic, was how much tension in her head, neck and jaw she really had, but was accommodating all these years. “Most people have no idea what ‘comfort’ feels like because they have always lived with these head and neck symptoms…it’s their norm. “Cathleen just had her three month adjustment of her orthotic and reports 50% improvement in her tinnitus! 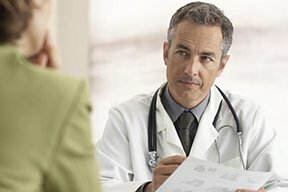 If you’ve been suffering from symptoms such as tinnitus (subjective tones or hissing in the ears), headaches, neck aches, dizziness and ear pain that various physicians have been unable to explain or resolve, you’ll want to consider the possibility of a TMJ disorder – which is treated by a doctor of dental medicine. You can schedule an exam with a dentist for just this purpose. In other words, if you’re deathly afraid of being told you have a cavity that needs to be drilled out — then simply request an evaluation for TMJ disorder.